You Need to Build a Greenhouse - Here's Why! I’ve written before about the benefits of small greenhouses for small farms; small greenhouses are cheap to build, easy to manage and very productive. One of the first thing we did as market gardeners was to build a greenhouse to grow our own transplants and direct-seed some early crops. “…to make a real difference in creating a local food system, local growers need to be able to continue supplying “fresh” food through the winter months”. But the 2017 season really brought the lesson home. You may know that the spring and summer of 2017 set some records for rainfall in Eastern Ontario. The rains came, in quantity, and just didn’t stop. Farmers in my area faced a number of challenges; fields too wet to work, and early crops that were successfully planted got drowned out. I lost about 80% of my garlic due to flooding in a field that had never experienced that before. The expression ‘make hay while the sun shines’ was a literal truth this year. I saw any number of fields with overgrown or cut-and-rained-on hay. Some farmers were doing a first cut in August! Even when it wasn’t actually raining, the fields were too wet to put equipment in. 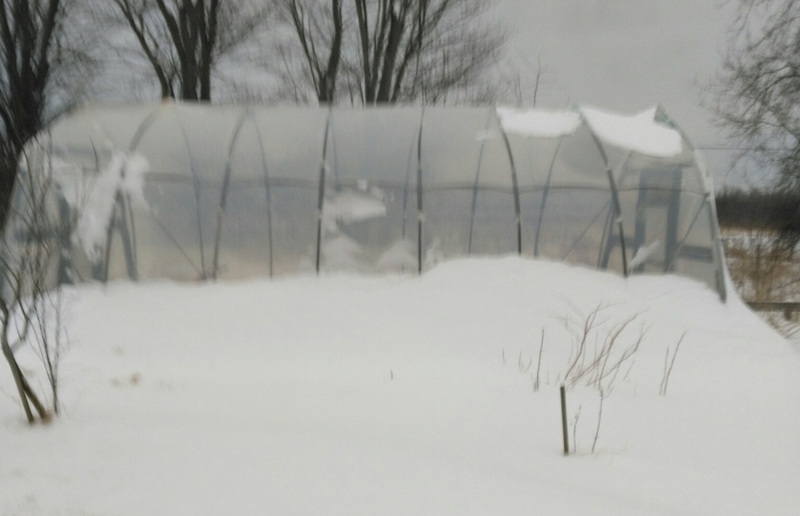 Build a greenhouse, save a season! So (long story short), it rained a LOT. Naturally, this was the year Suzie and I decided to ramp up the market garden. But, to bring it back to the topic at hand, our little greenhouses helped salvage our season. We were able to harvest enough to put something on the table each market day. Other growers at the market related similar stories. Whole field plantings not coming up, or drowning out. They too had greenhouses to help save the year. I think that, going forward, getting more crops under cover is the answer to ‘weird weather’. It’s relatively cheap insurance. Crop extension is important, but crop protection is critical. And, if you are selling at a market, getting in first with some crops is a big advantage. The early weeks at a market are ‘premium time’, and you will get better prices for your goodies. That was true for us, and in fact for a few weeks we were the ONLY source for some veggies. And lest you think 2017 was an outlier, check out the date on the above picture. The plants inside were OK, we added another layer of protection with row cover over the beds. The time (relatively little) and money (relatively cheap) we invested in building and learning how to use our greenhouses have paid us back many times over. 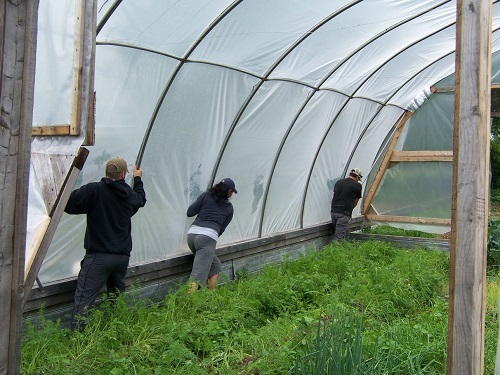 So, ,we decided to write it all down so ANYBODY can build their own Bootstrap Greenhouse. So our latest book will show you step-by-step how to build a greenhouse and use it to best advantage your small farm. We include directions to build each of the 3 greenhouse designs we use on New Terra Farm - all for 9 bucks! 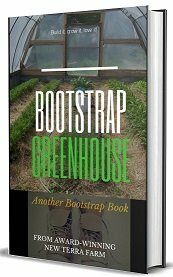 Check out Bootstrap Greenhouse here.